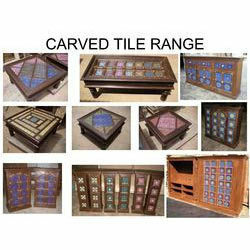 We can able to make all type of Sheesham Wooden Furniture. Please contact us for more information of our products. We have a collection of Fancy Room Set that is very modern and contemporary. It is made keeping in mind the latest trends and prevalent fashion. We have beds, couches and tables that are available in many colors, tones and styles. Our valued clients can avail from us a high quality range of Kiln Dried Stead, which is widely demanded by our clients for its available features. Manufactured using high quality wood and other material at vendors’ end, this is beautifully designed keeping in mind the various requirements and tastes of our esteemed clients. 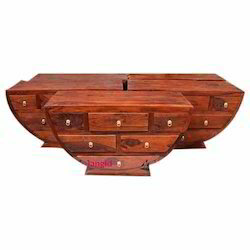 We are Madhya Pradesh, India based Manufacturer & Supplier of Wooden Home Furniture Set! We keep ourselves updated with the latest fashion trends and market requirements while producing them. Also, we make use of the first-class raw material for manufacturing strong and durable Furniture. One cab get them in tailored specifications as well. Our prices are also marginal! It is a spectacular design and indeed a great piece of art. Wonderful color combinations coupled with smooth surface. A set of four comfortable and well ventilated chairs, one table and a spacious bench. It is perfect for a gathering of a small group of friends.